I would like to thank the publisher for the review copy. My review here is honest and totally unbiased. This book explores the area of emotions through the medium of hand written letters. Precisely , a perfect way to recite a story without the image of actual happened incident. 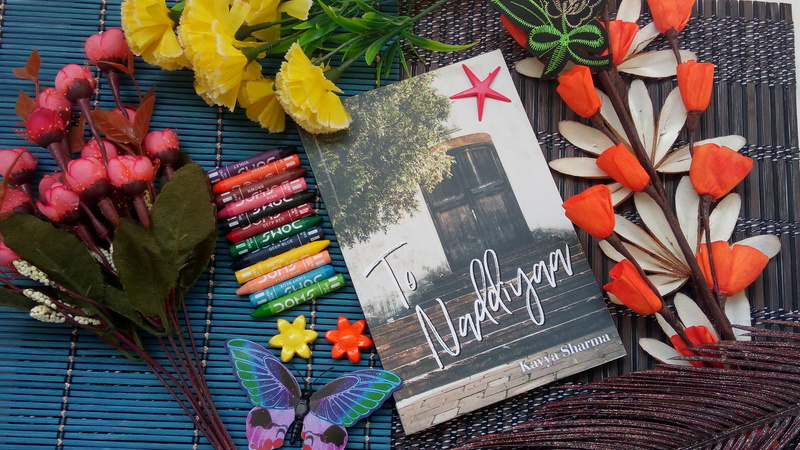 This book travels through the memory lane of Durjoy letters and Naddiyaa’s past. I would say “Pain” is the main protagonist of this tale. I was able to hold a smile despite of the pain , that is because of the unconditional love of Durjoy towards Naddiyaa. ->Narration was quiet different . The letter portrayal didn’t dilute the essence of the narration. -> Simple language, even the grey area didn’t seem to make impact on me. I mean I could feel the pain but it didn’t leave me with heavy heart. -> Detailing,There could have been little detailing of the situations,places and whereabouts . The entire story comprised only with the letters which didnt allow me to go beyond Durjoy. -> Characters. Author chose characters in such a way that as a reader I couldn’t blame anyone at the end of the story for their situation. Everyone is enemy to oneself. Overall “To Naddiyaa” is the collection of letters from durjoy to Naddiyaa. A madman’s voice which failed to communicate in the past has been rendered at the present through his written words. A soulful proposal which reached late in the hands of Naddiyaa. Kavya Sharma has completed her masters in Creative Writing from the University of Nottingham, England. She recently released her Y/A women’s fiction novel “To Naddiyaa” published by Storymirror and has also published a poetry collection called “The Carmine Memories: An Insane Woman’s Poetry” published by Partridge India. Along with that her poems are featured in various poetry anthologies including Ninety Seven Poems by Terribly Tiny Tales (published by Penguin) and Map Called Home by Kitaab Org. Singapore. Recently she was awarded The Honourable Mention by Delhi Poetry Slam for excellence in poetry in their Free Verse Poetry Contest. She has taken creative writing workshops as a mentor and is a Novel Writing Mentor with My Captain, The Climber- A youth mentoring youth platform recognised by the United Nations SDSN. Kavya has given an interview to BBC Nottingham Radio on Project Poetry Ballads which she was working on as a part of her placement in The National Justice Museum, Nottingham. Her short stories/poems/articles have been published on various platforms including The Bangalore Review, Thought Catalog, Terribly Tiny Tales, Out of Print Magazine, Indus Woman Writing, Spark Magazine, Youth Ki Awaaz, etc. She currently works as a Commissioning Editor at Half Baked Beans Publishing House, Delhi and is the founder and editor-in-chief of a literary magazine by the name Verse of Silence which comes out every month both digitally and in print.